Is one of the biggest online stores for vacuums, vacuum packs, channels for vacuums and other vacuum parts. GoVacuum has been in the matter of Vacuums for more than 30 years now. Govacuum.com is the online part of Vacuums Unlimited, a small family-owned company that has been in operation for over 30 years. 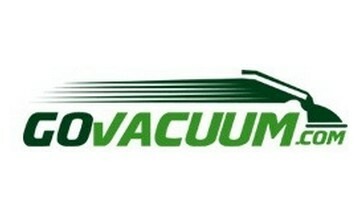 Their online store, Govacuum.com, was launched in 1996 and sells virtually all types of vacuums that you can imagine. Govacuum.com is your one-stop destination for all of your vacuum needs. This company offers every type and brand of vacuums available out there. You can also purchase commercial vacuums and robotic vacuums at wholesale prices. In addition, their creative "Just Like New" product category has rebuilt/used vacuums at a low price. The website offers quality products at competitive prices. Orders are processed quickly and delivery done fast. The company provides free shipping in the United States on all orders and products. The website accepts a number of convenient payment methods, including major credit cards such as Visa, MasterCard, American Express and Discover Card. Govacuum.com has a dedicated customer service team available to help you with your orders. If you have a question, the team is also ready to answer you quickly and adequately.